The family of Virginia E Conklin is sad to announce the peaceful passing of their mother, grandmother and great grandmother Virginia E Conklin on April 2, 2019. Virginia Conklin was the third of four children born to Ottis and Elizabeth Costello Jackson. 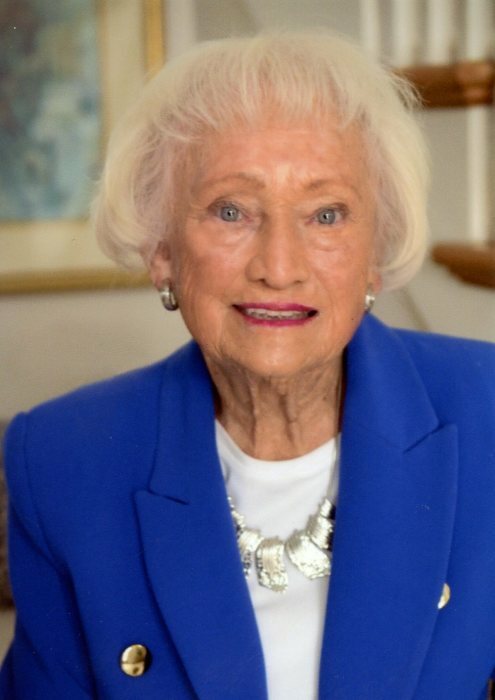 After graduating from Chester High School in 1942, WWII put her college plans on hold. When the government passed the GI Bill it gave her the opportunity for a college education. She enlisted in the US Coast Guard and became one of the 11,000 women who served in the US Coast Guard Unit known as the SPARS. After training in Palm Beach, she served in South Carolina, and Savannah and Cockspur Island, GA. Upon her discharge, she returned home to Chester, where she married William Conklin. Two years later when their first daughter was born, she put her education on hold while her husband entered law school. At the age of 46, she entered Youngstown State University where she completed her degree. She was the only student over age 25 in any of her classes. She became an English instructor at Oak Glen High School where she taught for eighteen years. She completed her Master’s Degree in Communications at WVU and became the chair of the English department at Oak Glen. She used her skills to teach the English language to immigrants from Vietnam who settled in Chester and used the Laubach reading method to teach non-reading adults. She was a member of the board of directors of Chester’s Lynn Murray Memorial Library. An avid golfer, Virginia volunteered three years for the Girl Scout golf clinic in Columbiana County and organized a drive to pack and ship 4,000 golf balls and 800 golf clubs to soldiers in Iraq. At the age of 94, Virginia has received many accolades. In 2013 she was honored as Veteran of the Year by the West Virginia Girls State, and in 2014 she recorded an oral history of her Coast Guard experiences at the Woman’s Memorial in Washington, D.C. She was grand marshal of the Chester Fourth of July Parade in 2015. She also served two years as a Silver-Haired Legislator in W. Va. She was the featured guest speaker in 2016 at both the Woman’s Veterans of Ohio and the U.S. Coast Guard base in Cleveland, and then was named a Hometown Hero by WYTV, Channel 33. She also served as a Eucharistic minister at Sacred Heart Church. In 2018 she was inducted into the Lou Holtz Upper Ohio Valley Hall of Fame. She was preceded in death by her parents, her husband William E Conklin, a granddaughter Alexis Yankush, and her siblings Robert Jackson, Ottis Jackson and Grayce Jackson Pescion. She is survived by her daughter Karen Conklin (Gary Offerdahl), Kathy Montgomery (Bill Montgomery) and son William Kim Conklin (Terri Levine). Grandchildren Zachary Yankush, Adam Yankush, Cory Yankush Wilharm, Ashley Ravella, and Devin Ravella and 5 great-grandchildren. 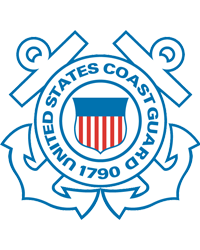 A Catholic Funeral Liturgy will be held Saturday, April 13, 2019, at 11:00 a.m. at Sacred Heart Church in Chester where the U.S. Coast Guard will accord full military honors. Arner Funeral Home in Chester has made the arrangements. A philanthropist in life, she continued in death by donating her remains to the Human Gift Registry of West Virginia University for scientific study. At her request, there are no calling hours. Memorial contributions may be sent to Chester Lynn Murray Memorial Library, 601 Railroad Ave., Chester, WV 26034.